Entry by Meyly on Thu Sep 13 06:12:13 2012. 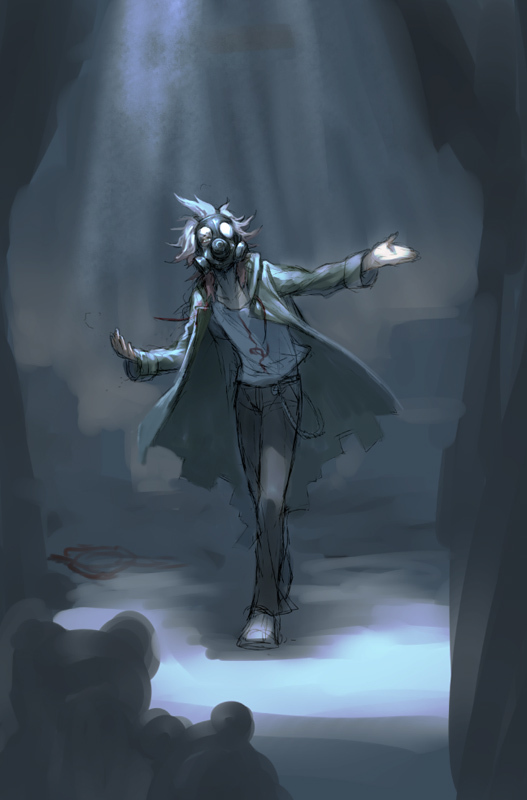 I can imagine Komaeda saying, "Welcome ladies and gentlemen to the Circus of Hope! A place where 16 performers will wage their very own lives to see whose hope will shine the brightest in this world of despair. Therefore, please sit back and enjoy what the world's greatest talents have to offer in this very evening. Thank you."